Red , white and blue everywhere! And that can mean only one thing – the NC 4th of July Festival is imminent. There will be crowds and traffic to rival any other time of the year in Brunswick County, NC, but with patience and good humor we can all enjoy great fun. 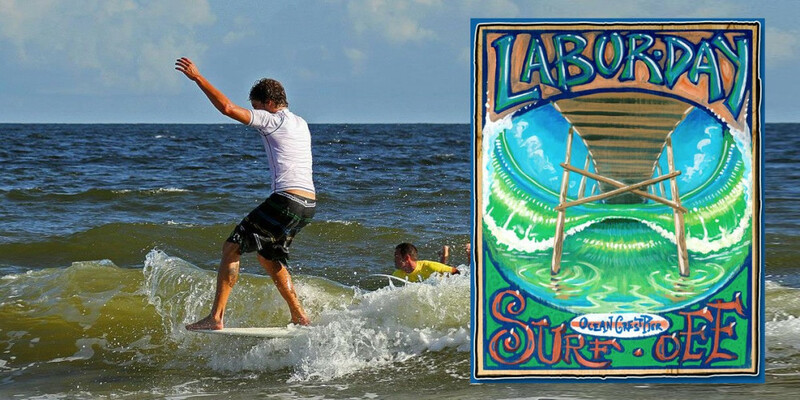 The 2018 event will begin on Saturday, June 30, in the Town of Oak Island, NC with the Beach Day events and in Southport, NC with the Fire Fighters Freedom Competition. Beach Day events will begin with a Horseshoe Tournament at 8 AM and end with a Concert by the Holiday Band from 6 PM until 9 PM. In between you can participate in youth activities and contests, a sand sculpture contest, Corn Hole, Bocce Ball and Volleyball Tournaments, a skateboard competition (at the Kevin Bell Skate Park), and a Shag Contest. In addition to the Fire Fighters Competition on Saturday, you can also view the 9/11 Never Forget Memorial Mobile exhibit and tour the Old Brunswick County Jail. July 2, 3 and 4 offer Arts and Crafts in Franklin Square Park from 10 AM until 6 PM and food concessions from 11 AM until 10 PM in the Waterfront Park area. Other events on Monday, July 2, include children’s entertainment in Keziah Park from 12 Noon until 2 PM and a Salute to Veterans in the Southport Community Building at 6 PM. On Tuesday, July 3, registration for Children’s Games at the waterfront begins at 8 AM and games begin at 9 AM. The Brunswick Big Band will play on the Fort Johnston lawn followed by the naturalization ceremony at 4 PM. From 4:45 PM until 5 :30 PM you can register to vote at the Southport Community Building and at 6 PM there will be a flag retirement ceremony at the corner of Howe and Moore Streets. You can start you day on Wednesday, July 4, with a pancake breakfast from 7 AM until 10:30 AM at the Trinity United Methodist Church. At 10:30 AM there will be a flag raising ceremony at the corner of Moore and Howe streets and the parade will begin at 11 AM. From 11 AM until 4 PM you can enjoy Shine & Show Classic Cars on Bay Street next to Waterfront Park. Fireworks will begin at 9 PM and there will be an encore musical performance afterward. Throughout the days of the festival you can tour the Maritime Museum; take in the Summer Regional Art Show at Franklin Square Gallery (and take part in their art raffle and win prizes yourself); tour the Chapel of the Cross; tour the Old Jail; and enjoy the Waterfront Stage Entertainment. What more could you want? 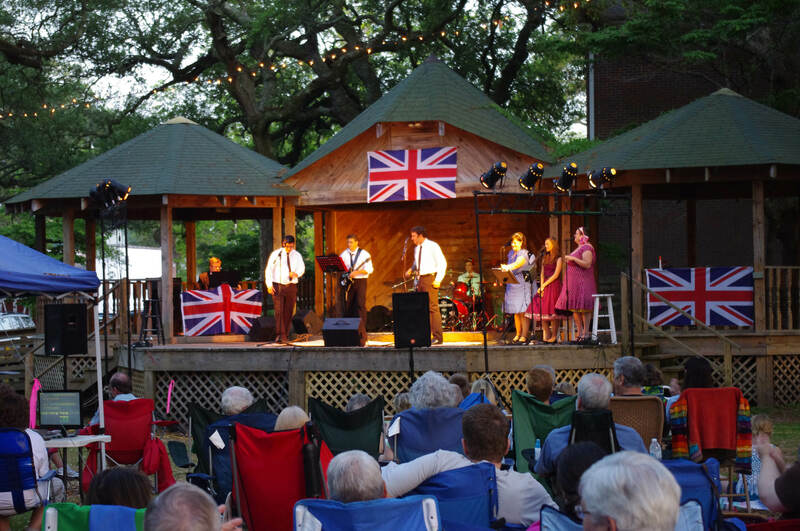 Start your weekend tomorrow evening (Thursday, June 21) with the weekly Southport Summer Concert in Franklin Square Park in Southport, NC. Soul on the Beach will entertain you from 6 PM until 8 PM. 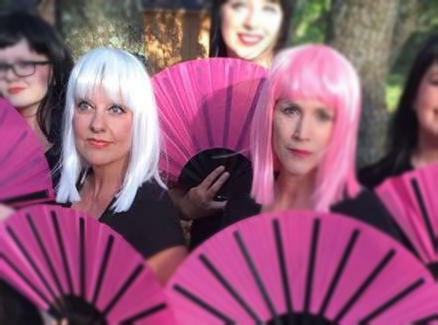 Hot Mikado will be showing tomorrow evening, as well, at Brunswick Little Theatre in Southport, NC beginning at 7:30 PM. If you can’t make it then you will have more chances on Friday and Saturday at 7:30 PM and on Sunday afternoon at 3 PM. The scene is set in a Japanese Garden with music from the 1940s and the story includes love, a beheading and someone being buried alive. But don’t worry, the ending is happy. On Saturday, June 22, you might want to check out the first Food Truck Rodeo and Jam in Oak Island, NC at Middleton Park. It will run from 11 AM until 8 PM so you could enjoy lunch as well as dinner in the park if you choose. You will find homemade ice cream, too. There will also be music throughout the day with four bands scheduled to play. Oak Island Parks and Recreation Department is hoping you will want to make a donation of $5 at this event so they may raise funds for an amphitheater, a modern playground and a splash pad pay area. On Sunday, June 24, there will be more music available for your entertainment and to kick off the July 4th Celebration. The 208th Army Band will perform on the Fort Johnston Lawn beginning at 3 PM. Bring your chairs, bring your blankets, bring your snacks and enjoy jazz, rock, marches, and a brass quintet.